Sorry... the 2016 Audi S8 is no longer being sold as new. 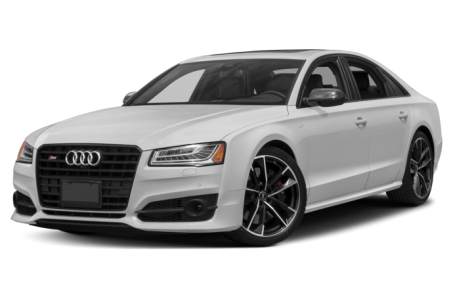 Fortified with a 520-horsepower, twin-turbo 4.0-liter V-8 engine, the S8 is the hot rod of the A8 line. It comes with an eight-speed automatic transmission, all-wheel drive, adaptive suspension and driver-selectable settings for the steering and suspension. Rivals include the Mercedes-Benz S63 AMG and BMW Alpina B7. A Sport model is powered by the turbocharged V-8 and has a unique front bumper with air intakes in the lower part, new side sills and a new rear diffuser.